Have you ever taken a picture or a video and it came out a bit dark? Here’s a little trick. A light reflector can vastly improve your images. Reflecting light can reduce shadows and lighten other dark areas. These reflectors come in many different sizes and colors (to help match different lighting conditions and skin tones). They are very light, fold into a small package, and are far easier to use than hauling a big, heavy light kit around. Too much light coming from behind your subject? See the example picture to the left. Use a white reflector to bounce some sunlight back into your subject and produce a nice soft fill. A gold reflector can provide a warm light fill, too. 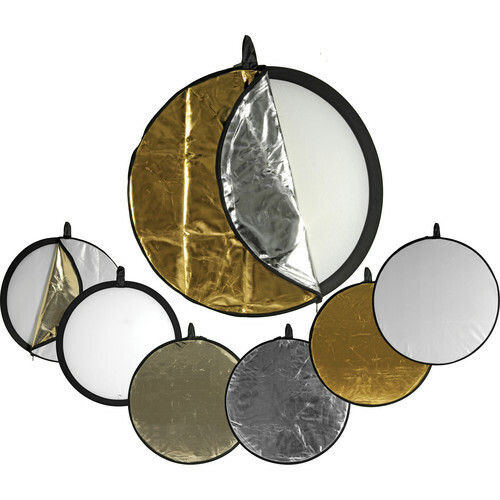 Studio 300 has reflectors available for check out. 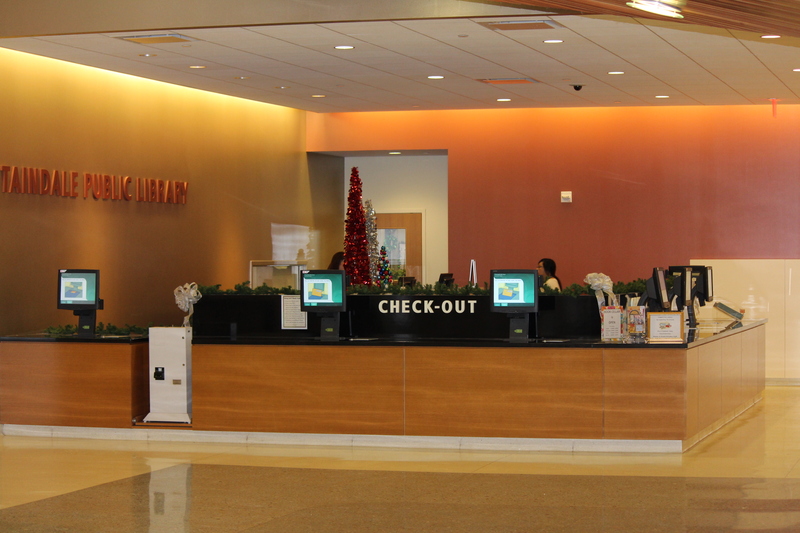 Stop by and we’ll show you how easy they are to use. Want to use a Nikon lens on a Canon camera? Or a vintage Minolta lens on an Olympus? You need a lens adapter to re-purpose those lenses to work with today’s DSLR cameras. Adapters are relatively inexpensive and easy to use. They simply mount between the lens and the camera body. It’s important to note that most lens adapters are purely mechanical. They provide a mechanical interface between the lens and camera. As a result, focus and aperture adjustments must be done manually. All DSLR cameras have internal light meters that attempt to determine the proper exposure setting for a picture. However, depending on the composition of a shot, the camera’s internal metering system may not be accurate enough. Using an external handheld light meter, such as the Sekonic 478D, can really make the difference between a good picture and a great one. The touch screen interface lends itself to an intuitive workflow and the visual layout of the screen is easy to navigate and understand, even for a novice. Great results can be achieved in a short time. So take your DLSR pictures to the next level! Stop by Studio 300 and we’ll show you just how easy the meter is to use. When taking a picture, you often need to zoom in on distant subjects. A telephoto lens is the solution. Most DSLR cameras come with a stock lens of 18-55mm. While this lens is great for wide angle shots, it falls far short as a telephoto lens. 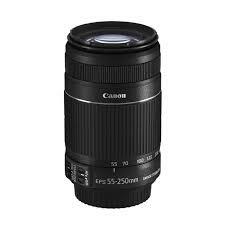 Studio 300 now has a Canon 55-250mm Telephoto Lens for our Canon T4i (and other) DSLR cameras. 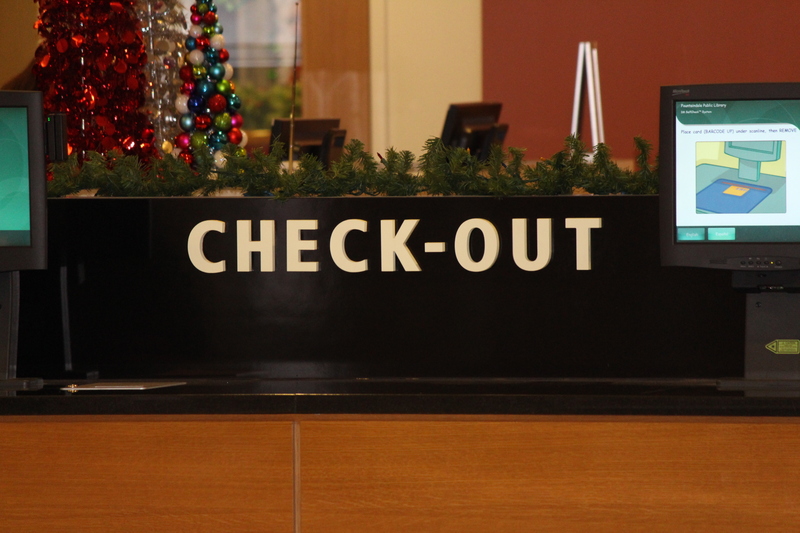 This item can be checked out for 3-days. Picking up where the stock lens ends, this telephoto lens has a range of 55mm to 250mm. At 250mm, distant subjects can be easily pulled in and captured. The lens has both Auto Focus and Image Stabilization like the stock lens, and it’s easy to capture sharply focused shots without a tripod. If you’re curious what a telephoto lens can do for you, stop by Studio300 and we’ll show you how easy it is to use. Meanwhile, check out the two shots below. 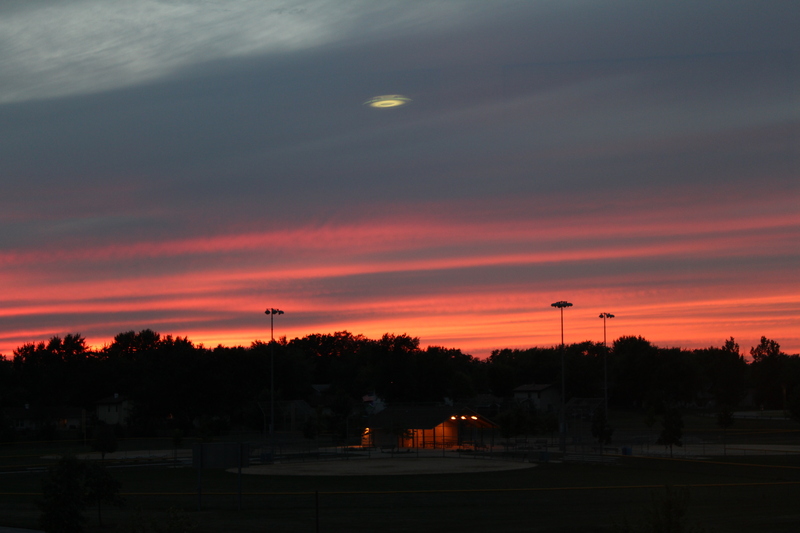 Last month we posted a blog featuring this picture of a mysterious object in the sky. Well, truth be told, it was nothing more than a reflection in the window. 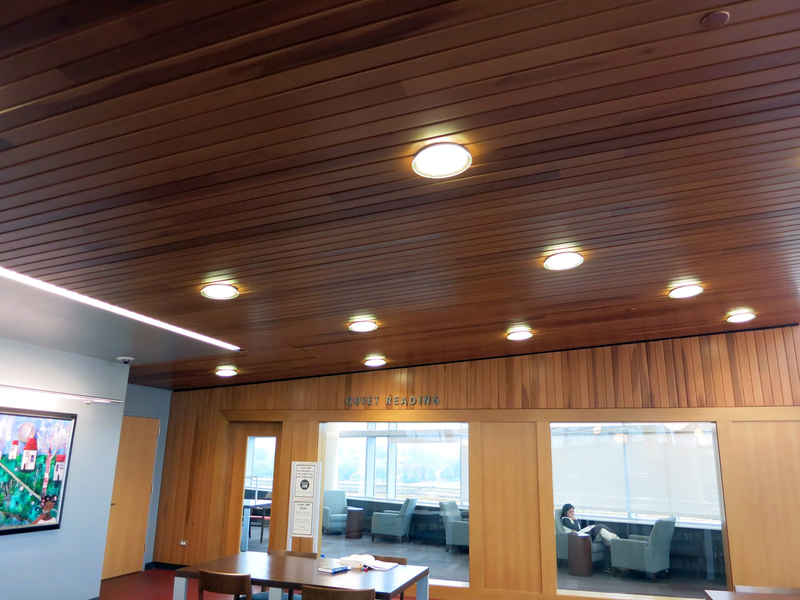 The reflection was simply one of the ceiling lights on the third floor of the library. Photographers and filmmakers have long used reflections for all kinds of effects. Sometimes you get surprised as we did and end up with a cool picture. 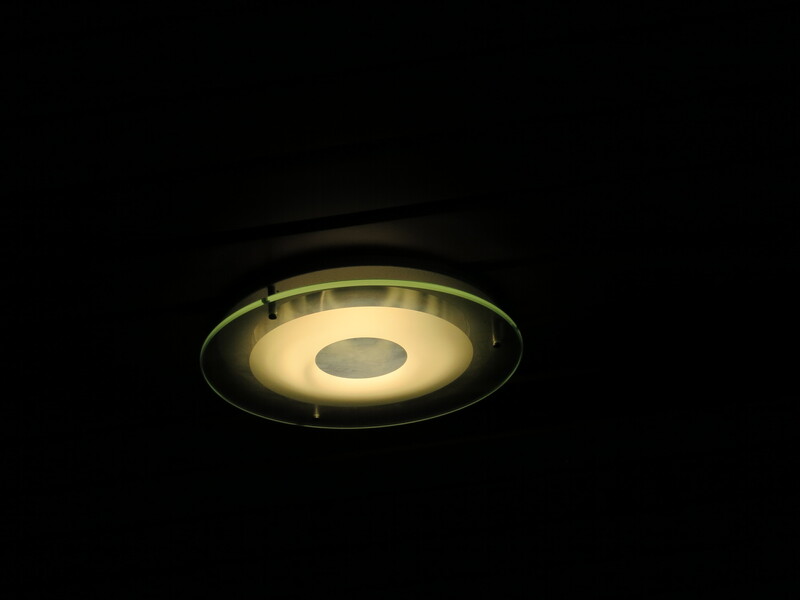 Below are pics of the actual lights that ended up looking like a UFO. Is That Really What I Think It Is? Click image for a full-size view. Seeing is believing. A few weeks ago we captured a great sunset from Studio 300. Look closely and you’ll see there was more in the sky that evening than pretty colors. This picture is real. The object is really there. No Photoshop or other special effects trickery. So what is it? Can you trust your eyes? Is that really what you think it is? In a future blog, we’ll reveal the truth behind the mysterious object in the sky. Until then, feel free to guess what it is. Better yet, stop by Studio 300 and we’ll show you the truth.